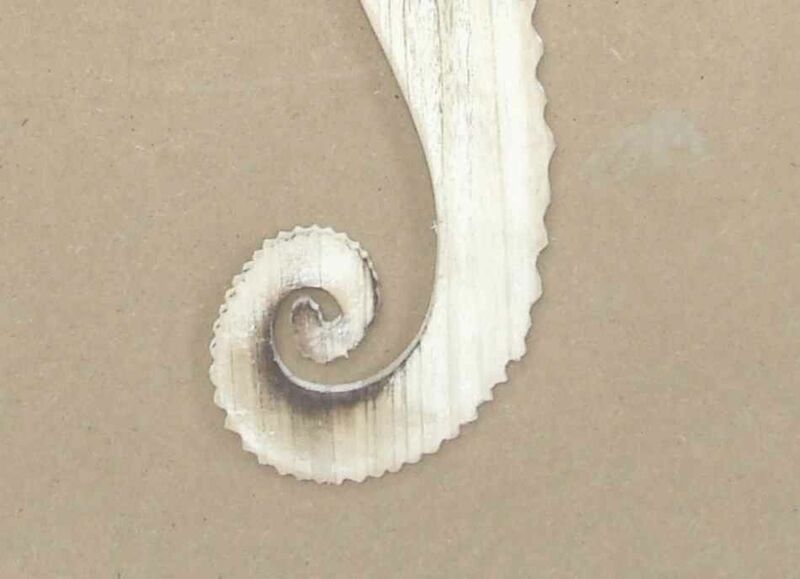 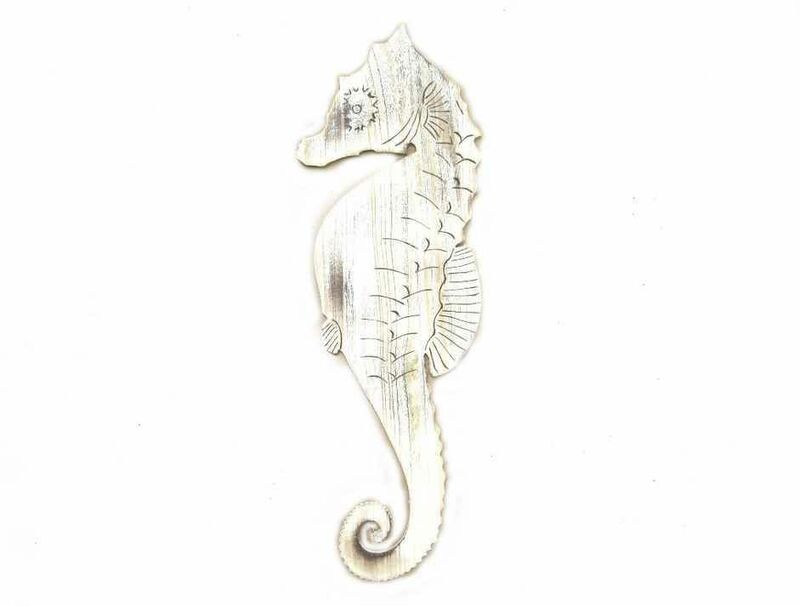 Wooden Rustic Whitewashed Wall Mounted Seahorse Decoration 36"
Our Wooden Rustic Whitewashed Wall Mounted Seahorse Decoration 36" is an instant conversation starter when put on display in your beach themed home. 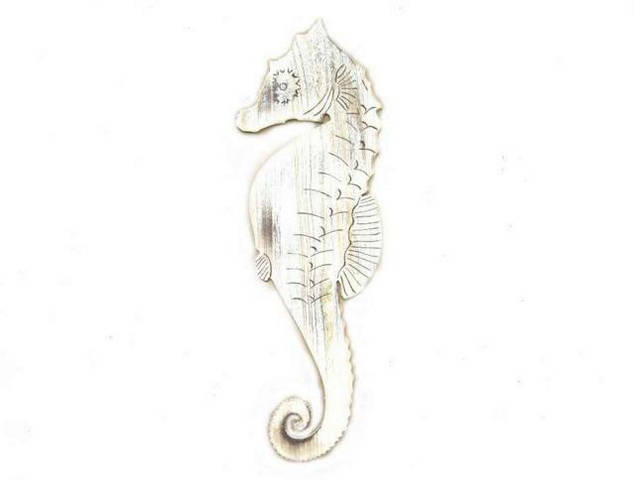 Perfect for those looking to peaceful beach or those who love the sealife theme, this versatile sign can be displayed prominently on a wall or can lean right up against a wall as an accent piece. 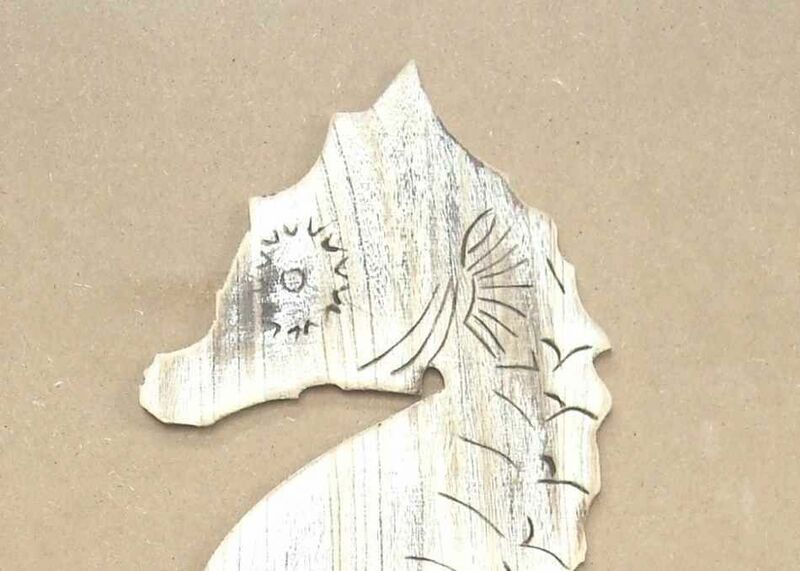 Give this rustic decor piece as a gift or enjoy it in your own home.